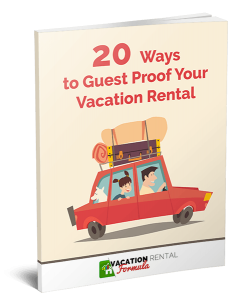 Does Your Vacation Rental Feel Like Home? I wanted to share a blog post I read today on At Home in Tuscany because it says very succinctly what renters want when they book a vacation home. 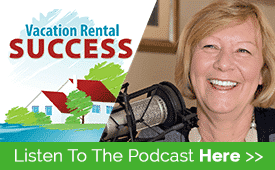 The post is written by Pauline Kenny, someone I admire hugely for the knowledge and information she shares on the vacation rental business, from a renter’s perspective, and we should all take the time to read the article and draw what we can from it. I think most owners who manage their rental homes professionally do all of these things to some extent – I’m not sure many of us would be offering stiff line-dried towels though – but to those that are new to the business, there are some great points made. Someone or something is there to greet me. It is nice to be welcomed by the owner or local representative but we have stayed in places where the key was left under a flowerpot and they still felt welcoming. Tea was set up on the counter or there was a note from the owner or fresh flowers in a vase – something that let me know the house was ready for me. We are often not able to meet our rental guests however we do make sure they know someone was there and made it ready for ‘them’. We leave a personal note of welcome, a gift basket with produce from our local farmer’s market, a list of what is on in the area. We always leave the radio on a classical station; lights on if our guests are likely to arrive after dusk, and in winter the wood stove is lit. I don’t think there can be much more unwelcoming than guests arriving to a cold, dark cottage and having to fumble around for light switches and then have to look for ways of warming the place up. 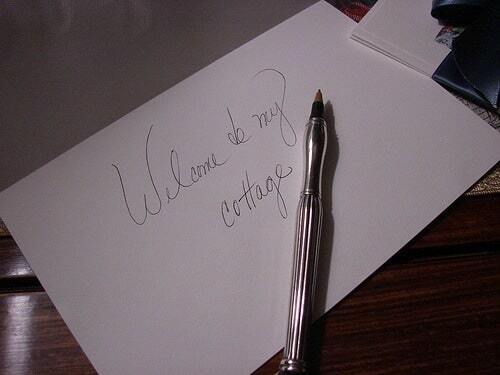 What do you do to make your cottage or vacation rental feel like home? Thank you very much for sharing this content. I think Pauline’s suggestions are precious to us all as vacation rental owners. I always tell our guests to ask rather than assume, whatever is their question, so that we can do all we can to make their holiday a positive experience! We rent our home through casas de santa fe and they are amazing at making guests feel welcome – the lights are turned on, there are flowers, coffee, welcome notes and local papers/guidebooks, there will be classical music playing softly and the homes are impeccably clean. We leave the lights on (as Tom Boudette used to say) and a plate of homemade chocolate chip cookies! Then we always call and since we live in town, stop in and say “hi”. We invite guests at the Creekside Chalet or House on Watauga Lake to share a sunset over the mountains from the decks of the Iron Mountain Inn in nice weather, or in front of the wood burning fireplace in cooler months. Guests arrive as strangers and leave as friends. We are always here to welcome our guests, to talk about the area , where things are and most important question is when does the grocery store close and what hours are the liquor store. The lights are on the TV is playing low and the beds are made.